When the arteries that transport blood to your heart are narrowed by fatty deposits‚ it can result in discomfort. A healthy diet and regular physical activities can help lower your risk. 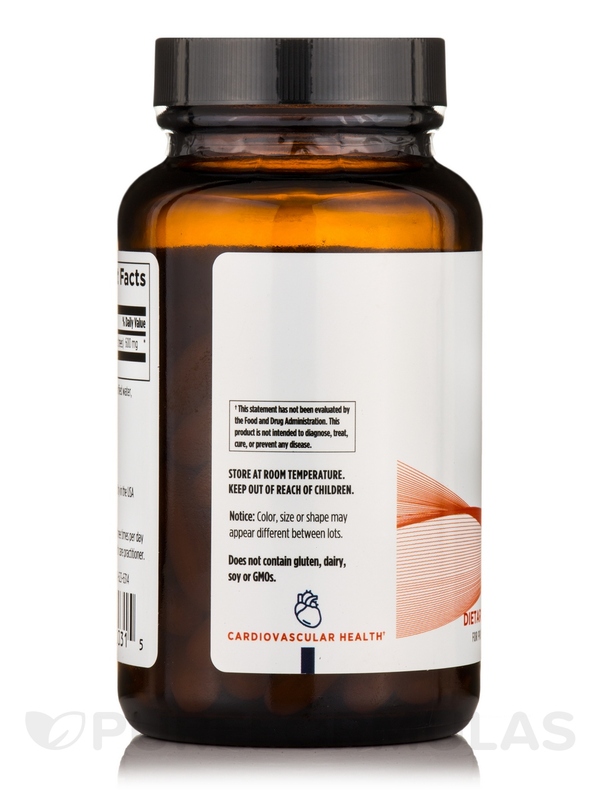 A supplement‚ especially one that contains Reducol®‚ can support cardiovascular health. 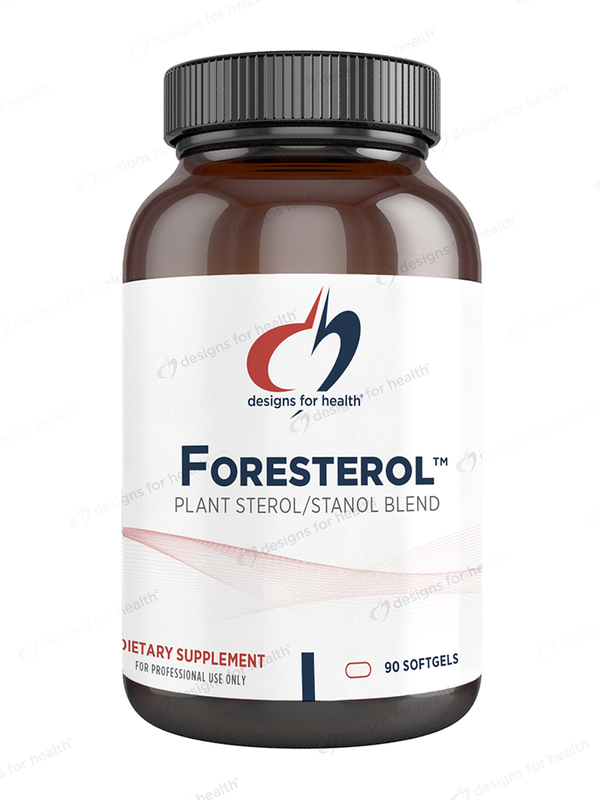 Designs for Health’s Foresterol™ provides sterols and stanols—molecules contained in plants—that work to keep your small intestines from absorbing potentially harmful molecules. Reducing the amount of fatty foods in your diet‚ as well as including fresh vegetables‚ fruits‚ and whole grains‚ can help you stay active and healthy. The stanols and sterols in Reducol® are naturally found in small quantities in some vegetables‚ fruits‚ grains‚ legumes‚ nuts‚ and seeds. However‚ Foresterol™ may be a more convenient and reliable source. It discourages the accumulation of deposits in your arteries‚ allowing blood to flow more freely and supporting heart health. Each 90-tablet bottle of Foresterol™ by Designs for Health should last you for up to one month at the recommended dosage of three tablets daily. Other Ingredients: Bovine gelatin‚ water‚ and glycerine (softgel ingredients)‚ curcumin (natural color). As a dietary supplement‚ take one softgel three times per day with meals‚ or as directed by your healthcare practitioner. It reduces my LDL some - every little bit helps. $30 a month every month. In addition to all of my other supplements it all gets expensive. If you truly have high cholesterol this probably wont do anything for you as it is a supplement not a medication. It doesnt touch HDL. My nutritionist recommended Foresterol to help reduce my cholesterol along with my diet. Hoping for good lab results! 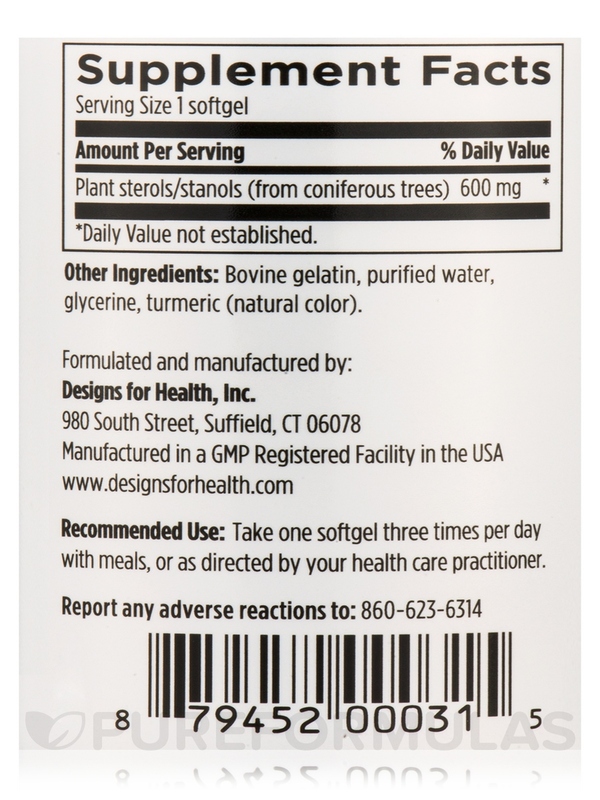 I heard about Foresterol by Designs for Health on the Dr. Oz tv show. 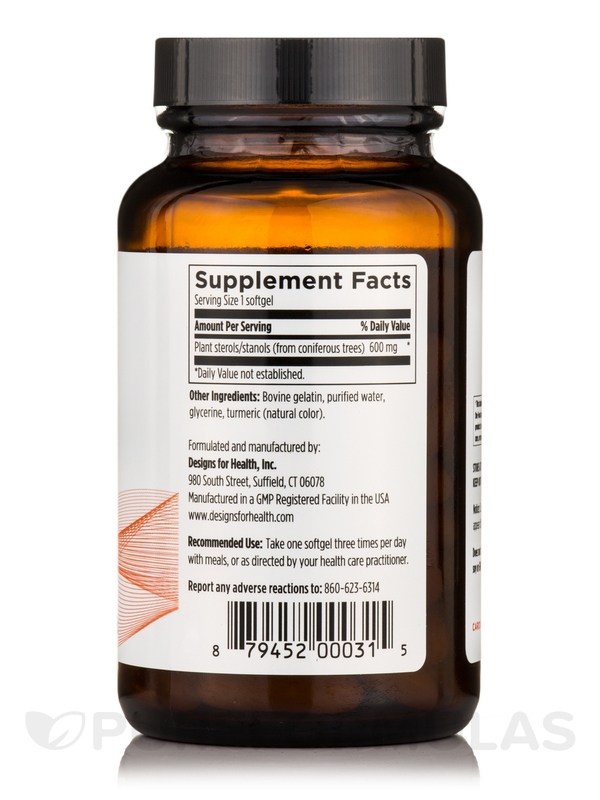 Because Id had very bad side effects using statin drugs to lower my cholesterol I decided to try this product as part of a more natural way to control it. To date Im approaching 3 months of use of the product with no unpleasant side effects whatsoever. Ive noticed that my waistline and hip measurements have reduced slightly over this course of time w/o even trying--who would be unhappy about that?! In about 2 wks Ill be getting a lipid panel done. I am hoping to see a good reduction in my LDL cholesterol as the product assures. Ease of use. No unpleasant side effects. What is happening with Foresterol? I've been trying to order it for months. Hi there Pam! We apologize for this. We will go ahead and request this order to our ordering manager to order more.